It is amazing how your skin changes throughout your lifetime. Your skin will experience many cycles that may or may not mirror your life choices. Knowing how to treat your skin at the moment is the key to your sanity and vanity. As a baby, your skin cells turn over quickly. The cells replace themselves about every 15 days. This is why baby skin is pore-less, soft and supple. The only obvious skin conditions for babies are dehydration (not enough water) and those issues diagnosed by a physician like eczema, dermatitis, and so on. For the most part, it is easy to care for baby and toddler skin. During bath time, use a gentle and tear-free cleanser to wash their face. After the bath, apply moisturizer from forehead to feet. When medically permitted by your pediatrician, apply sun screen and/or keep the baby out of the sun. As a toddler, skin care is similar to that of the baby. Toddlers move around more and dirt seems to accumulate in strange areas. It is important to use a cleanser and wash cloth to get into those hard to reach areas and ensure they are clean. After bath time, moisturize your toddler from head to toe and when allowed by your pediatrician use sunscreen and avoid sun exposure whenever possible. 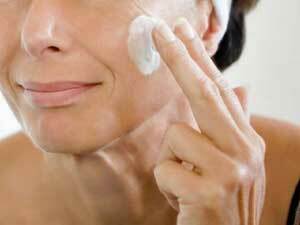 The skin care routine for age 35+ stays the same until about age 50. Around this time there is a significant drop off in the moisture level of the skin. It is important to continue anti-aging to the best of your ability. Make sure you moisturize! I talk about the gas tank being on a ¼ tank. Being dry is like operating on ¼ tank of gas. Make sure that you fill your tank completely. I suggest sitting down with your favorite moisturizer and simply re-applying until the skin rejects the moisture. You’ll know that you moisturized thoroughly when it no longer absorbs into the skin. For the most part, this is how skin care should work through the various ages and stages of your life. Of course, there are exceptions: menopause, pregnancy and other health issues can be factors. It is important to stay calm and seek professional advise for skin changes. If you follow the skin recommendations above, you should be in good shape. You’ll be the envy of any of your friends that started practicing healthy skin habits too late in life. Teenager is having hard time to deal on beauty stuff. When I was teens, I’m having much pimples and I don’t know how to deal with it. Today, I don’t have much problem on pimples but aging is the main concern on how to prevent it. Thus, often use natural and cosmetic products just to prevent skin and hair problems. I enjoyed reading your article about skin care regimen For all ages. I’ve tried a lot of different products and found one that I am extremely happy with. It’ called Aloe Derma. An all natural product that doesn’t irritate my skin. I’ve used it for about a year and a half and I love it. You can’t find it in the stores. I order it from there website,tryaloederma.com. You should give it a try. It’s fairly reasonable in price. Thanks so much for the Aloe Derma tip. I may just have to give that a try since I’m not too happy with my skin right now. Have a great day and thanks so much for stopping by today!